The speakers will address the current status of key open source database projects MySQL®, PostgreSQL, MongoDB®, and MariaDB®. They’ll be sharing with you how organizations are shifting from a single use database to a polyglot strategy, thereby avoiding vendor lock-in and enabling business growth. Without further ado, here’s the full keynote line-up for 2018! Open source database adoption continues to grow in enterprise organizations, as companies look to scale for growth, maintain performance, keep up with changing technologies, control risks and contain costs. In today’s environment, a single database technology or platform is no longer an option, as organizations shift to a best-of-breed, polyglot strategy to avoid vendor lock-in, increase agility and enable business growth. Percona’s CEO Peter Zaitsev shares his perspective. Following this keynote, there will be a round of lightning talks featuring the latest releases from PostgreSQL, MongoDB and MariaDB. PostgreSQL benefits from over 20 years of open source development, and has become the preferred open source relational database for developers. PostgreSQL 11 was released on October 18. It provides users with improvements to the overall performance of the database system, with specific enhancements associated with very large databases and high computational workloads. Do you love MongoDB? With version 4.0 you have a reason to love it even more! MongoDB 4.0 adds support for multi-document ACID transactions, combining the document model with ACID guarantees. Through snapshot isolation, transactions provide a consistent view of data and enforce all-or-nothing execution to maintain data integrity. And not only transactions – MongoDB 4.0 has more exciting features like non-blocking secondary reads, improved sharding, security improvements, and more. MariaDB benefits from a thriving community of contributors. The latest release, MariaDB 10.3, provides several new features not found anywhere else, as well back-ported and reimplemented features from MySQL. This keynote highlights the collaborative journey Paddy Power Betfair and Percona have taken through the adoption of MySQL within the PPB enterprise. The keynote focuses on how Percona has assisted PPB in adopting MySQL, and how PPB has used this partnership to deliver a full DBaaS for a MySQL solution on OpenStack. Geir Høydalsvik (Oracle) will talk about the focus, strategy, investments, and innovations evolving MySQL to power next-generation web, mobile, cloud, and embedded applications. 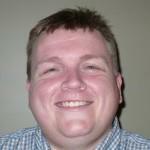 He will also discuss the latest and the most significant MySQL database release ever in its history, MySQL 8.0. Amazon RDS is a fully managed database service that allows you to launch an optimally configured, secure, and highly available database with just a few clicks. It manages time-consuming database administration tasks, freeing you to focus on your applications and business. This keynote features the latest news and announcements from RDS, including the launches of Aurora Serverless, Parallel Query, Backtrack, RDS MySQL 8.0, PostgreSQL 10.0, Performance Insights, and several other recent innovations. This keynote talk from PingCap will provide an architectural overview of TiDB, how and why it’s MySQL compatible, the latest features and improvements in TiDB 2.1 GA release, and how its multi-cloud fully-managed solution works. In this keynote, Yoshinori Matsunobu, Facebook, will share interesting lessons learned from Facebook’s production deployment and operations of MyRocks and future MyRocks development roadmaps. Vadim Tkachenko, Percona’s CTO, will discuss MyRocks in Percona Server for MySQL and share performance benchmark results from on-premise and cloud deployments. Don’t miss out, buy your tickets here! With a lot of focus on the benefits of open source over proprietary models of software delivery, you surely can’t afford to miss this opportunity to connect with leading figures of the open source database world. On Monday, November 5 you can opt to accelerate your knowledge with our in-depth tutorials, or choose to attend our business track geared towards open source innovation and adoption. Tuesday and Wednesday with sessions across 8 different tracks, there’s something for all levels of experience, addressing a range of business challenges. See the full schedule. In this post, we discuss database security compliance, what you should be looking at and where to get more information. As Percona’s Chief Customer Officer, I get the opportunity to talk with a lot of customers. Hearing about the problems that both their technical teams face, as well as the business challenges their companies experience first-hand is incredibly valuable in terms of what the market is facing in general. Not every problem you see has a purely technical solution, and not every good technical solution solves the core business problem. As database technology advances and data continues to be the core blood of most modern applications, DBA’s will have a say in business level strategic planning more than ever. This coincides with the advances in technology and automation that make many classic manual “DBA” jobs and tasks obsolete. Traditional DBA’s are evolving into a blend of system architect, data strategist and master database architect. I want to talk about the business problems that not only the C-Suite care about, but DBAs as a whole need to care about in the near future. Let’s start with one topic everyone should have near the top of their list: security. We did a recent survey of our customers, and their biggest concern right now is security and compliance. Not long ago, most DBA’s I knew dismissed this topic as “someone else’s problem” (I remember being told that the database is only as secure as the network, so fix the network!). 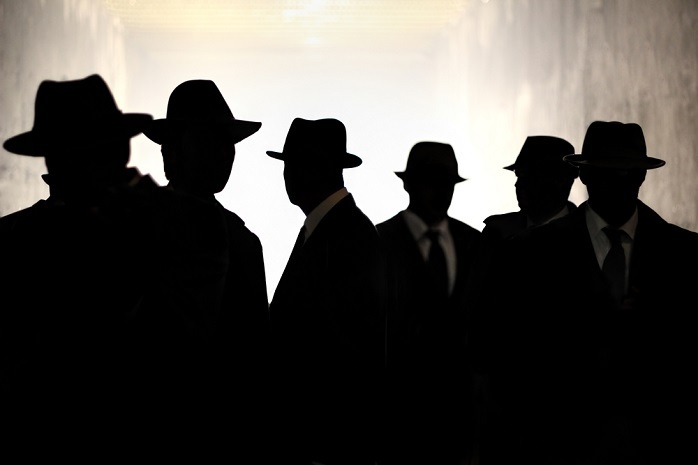 Long gone are the days when network security was enough. Even the DBA’s who did worry about security only did so within the limited scope of what the database system could provide out of the box. Again, not enough. Raise your hand if your company has some bigger security initiative this year. I’m betting a lot of you raised your hand! Security is not new to the enterprise. It’s been a priority for years now. However, it has not been receiving a hyper-focus in the open source database space until the last three years or so. Why? There have been a number of high profile database security breaches in the last year, all highlighting a need for better database security. This series of serious data breaches have exposed how fragile some security protocols in companies are. If that was not enough, new government regulations and laws have made data protection non-optional. This means you have to take the security of your database seriously, or there could be fines and penalties. Government regulations are nothing new, but the breadth and depth of these are growing and are opening up a whole new challenge for databases systems and administrators. GDPR was signed into law two years ago (you can read more here: https://en.wikipedia.org/wiki/General_Data_Protection_Regulation and https://www.dataiq.co.uk/blog/summary-eu-general-data-protection-regulation) and is scheduled to take effect on May 25, 2018. This has many businesses scrambling not only to understand the impact, but figure out how they need to comply. These regulations redefine simple things, like what constitutes “personal data” (for instance, your anonymous buying preferences or location history even without your name). New requirements also mean some areas get a bit more complicated as they approach the gray area of definition. For instance, GDPR guarantees the right to be forgotten. What does this mean? In theory, it means end-users can request that all their personal information is removed from your systems as if they did not exist. Seems simple, but in reality, you can go as far down the rabbit hole as you want. Does your application support this already? What about legacy applications? Even if the apps can handle it, does this mean previously taken database backups have to forget you as well? There is a lot to process for sure. So what are the things you can do? Educate yourself and understand expectations, even if you weren’t involved in compliance discussions before. Start working on incremental improvements now on your data security. This is especially true in the area’s where you have some control, without massive changes to the application. Encryption at rest is a great place to start if you don’t have it. Start talking with others in the organization about how to identify and protect personal information. Look to increase security by default by getting involved in new applications early in the design phase. The good news is you are not alone in tackling this challenge. Every company must address it. Because of this focus on security, we felt strongly about ensuring we had a security track at Percona Live 2018 this year. These talks from Fastly, Facebook, Percona, and others provide information on how companies around the globe are tackling these security issues. In true open source fashion, we are better when we learn and grow from one another. What are the Percona Live 2018 security talks? Securing Your Data on PostgreSQL – Payal Singh: OmniTI Computer Consulting Inc.
Want to attend Percona Live 2018 security talks? Register for Percona Live 2018. Register now to get the best price! Use the discount code SeeMeSpeakPL18 for 10% off. 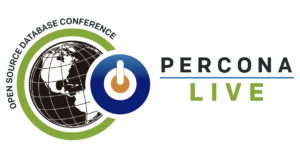 Percona Live Open Source Database Conference 2018 is the premier open source event for the data performance ecosystem. It is the place to be for the open source community. Attendees include DBAs, sysadmins, developers, architects, CTOs, CEOs, and vendors from around the world. The Percona Live Open Source Database Conference will be April 23-25, 2018 at the Hyatt Regency Santa Clara & The Santa Clara Convention Center. Welcome to the first interview blog for the upcoming Percona Live 2018. 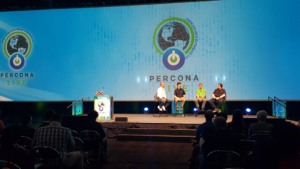 Each post in this series highlights a Percona Live 2018 featured talk that will be at the conference and gives a short preview of what attendees can expect to learn from the presenter. Percona: Who are you, and how did you get into databases? What was your path to your current responsibilities? 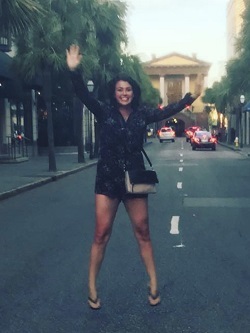 Bryana: I started at GitHub as a full-stack engineer working on a new business offering, and was then shortly offered the opportunity to transition to the database services team. Our priorities back then included reviewing every single database migration for GItHub.com. Having spent my whole career as a full-stack engineer, I had to level-up pretty quickly on MySQL, data modeling, data access patterns – basically everything databases. I spent the first few months learning our schema and setup through lots of reading, mentorship from other members of my team, reviewing migrations for most of our tables, and asking a million questions. Originally, my team spent a lot of time addressing immediate performance concerns. Then we started partnering with product engineering teams to build out the backends for new features. Now we are focused on the longterm scalability and availability of our database, stemming from how we access it. I work right between our DBA’s and our product and API engineers. Percona: Your talk is titled “Scaling a High-Traffic Database: Moving Tables Across Clusters”. What were the challenges GitHub faced that required redistributing your tables? Bryana: This biggest part of the GitHub codebase is an 8-year-old monolith. As a company, we’ve been fortunate enough to see a huge amount of user growth since the company started. User growth means data growth. The schema and setup that worked for GitHub early on, and very much allowed GitHub to get to where it is today with tons of features and an extremely robust API, is not necessarily the right schema and setup for the size GitHub is today. We were seeing that higher than “normal” load was starting to have a more noticeable effect. The monolith aspect of our database, organic growth, plus inefficiencies in our code base were putting a lot of pressure on the master of our primary database cluster, which held our most core tables (think users, repos, permissions). From the database perspective, this meant contention, locking, and replica lag. From the user’s perspective, this meant anything from longer page loads to delays in UI updates and notifications, to timeouts. Percona: What were some of the other options you looked at (if any)? Bryana: Moving tables out of our main cluster was not the only action we took to alleviate some of the pressure in our database. However, it was the highest impact change we could make in the medium-term to give us the breathing room we needed and improve performance and availability. We also prioritized efforts around moving more reads to replicas and off the master, throttling more writes where possible, index improvements and query optimizations. Moving these tables gave us the opportunity to start thinking more long-term about how we can store and access our data differently to allow us to scale horizontally while maintaining our healthy pace of feature development. Percona: What were the issues that needed to be worked out between the different teams you mention in your description? How did they impact the project? Bryana: Moving tables out of our main database required collaboration between multiple teams. The team I’m on, database-services, was responsible for coming up with the strategy to move tables without user impact, writing the code to handle query isolation and routing, connection switching, backgrounding writes, and so on. Our database-infrastructure team determined where the tables we were moving should go (new cluster or existing), setup the clusters, and advised us on how to safely copy the data. In some cases, we were able to use MySQL replication. When that wasn’t possible, they weighed in on other options. We worked with production engineers to isolate data access to these tables and safely split JOINs with other tables. Everybody needed to be sure we weren’t affecting performance and user experience when doing this. We discussed with our support team the risk of what we were doing. Then we worked with them to determine if we should preemptively status yellow when there was a higher risk of user impact. During the actual cut-overs, representatives from all these groups would get on a war-room-like video call and “push the button”, and we always made sure to have a roll-out and roll-back plan. Percona: Why should people attend your talk? What do you hope people will take away from it? Bryana: In terms of database performance, there are a lot of little things you can do immediately to try and make improvements: things like adding indexes, tweaking queries, and denormalizing data. There are also more drastic, architectural changes you can pursue, that many companies need to do when they get to certain scale. The topic of this talk is a valid strategy that fits between these two extremes. It relieved some ongoing performance problems and availability risk, while giving us some breathing room to think long term. I think other applications and databases might be in a similar situation and this could work for them. Percona: What are you looking forward to at Percona Live (besides your talk)? This is actually the first time I’m attending a Percona Live conference. I’m hoping to learn from some of the talks around scaling a high traffic database and sharding. I’m also looking forward to seeing some talks from the wonderful folks on GitHub database-infrastructure team. Want to find out more about this Percona Live 2018 featured talk, and Bryana and GitHub’s migration? Register for Percona Live 2018, and see her talk Scaling a High-Traffic Database: Moving Tables Across Clusters. Register now to get the best price! Sneak Peek of the Percona Live 2018 Open Source Database Conference Breakout Sessions! Take a look at the sneak peek of the breakout sessions for the Percona Live 2018 Open Source Database Conference, taking place April 23-25, 2018 at the Santa Clara Convention Center in Santa Clara, California. Early Bird registration discounts are available until February 4, 2018, and sponsorship opportunities are still available. Securing Your Data on PostgreSQL – Payal Singh, OmniTI Computer Consulting, Inc.
Ghostferry: A Data Migration Tool for Incompatible Cloud Platforms – Shuhao Wu, Shopify, Inc.
Percona Live Open Source Database Conference 2018 is the premier open source database event. The theme for the upcoming conference is “Championing Open Source Databases,” with a range of topics on MySQL, MongoDB and other open source databases, including time series databases, PostgreSQL and RocksDB. Session tracks include Developers, Operations and Business/Case Studies. A major conference focus will be providing strategies to help attendees meet their business goals by deploying the right mix of database solutions to obtain the performance they need while managing complexity. Percona Live 2018 Open Source Database Conference 2018 will be held at the Hyatt Regency Santa Clara & The Santa Clara Convention Center, at 5101 Great America Parkway Santa Clara, CA 95054. The Hyatt Regency Santa Clara & The Santa Clara Convention Center is a prime location in the heart of the Silicon Valley. Enjoy this spacious venue with complimentary wifi, on-site expert staff and three great restaurants offering Tuscan cuisine, classic American or tantalizing Sushi. Staying for a couple of extra days? Take time to enjoy the Bay Area and enjoy a day in San Francisco located only an hour away. You can reserve a room by booking through the Hyatt’s dedicated Percona Live reservation site. Book your hotel using Percona’s special room block rate! Sponsorship opportunities for Percona Live 2018 Open Source Database Conference 2018 are available and offer the opportunity to interact with the DBAs, sysadmins, developers, CTOs, CEOs, business managers, technology evangelists, solution vendors, and entrepreneurs who typically attend the event. Contact live@percona.com for sponsorship details. Percona is extending the Percona Live 2018 call for papers deadline to January 12, 2018! Percona’s gift to you this holiday season is the gift of time – submit your speaking topics right up until January 12, 2018! As the year winds up, we received many requests to extend the Percona Live Open Source Database Conference 2018 call for papers. Since many speakers wanted to submit during the week that they’re planning vacations (from Christmas until New Year’s Day), we realized that December 22 was too soon. If you haven’t submitted already, please consider doing so. Speaking at Percona Live is a great way to talk about what you’re doing, build up your personal and company brands, and get collaborators to your project. If selected, all speakers receive a full complimentary conference pass. Percona Live 2018 is the destination to share, learn and explore all pertinent topics related to open source databases. 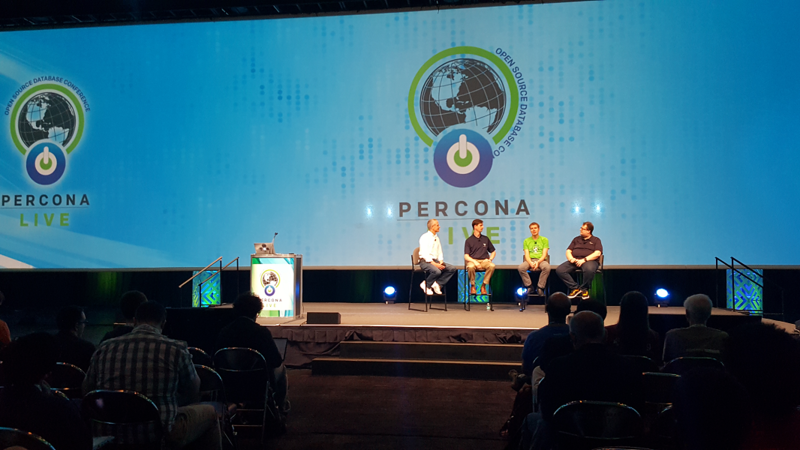 The theme for Percona Live 2018 is “Championing Open Source Databases,” with topics on MySQL, MongoDB and other open source databases, including time series databases, PostgreSQL and RocksDB. Session tracks include Developers, Operations, and Business/Case Studies. Remember, just like last year, we aren’t looking for just MySQL-ecosystem–related talks (that includes MariaDB Server and Percona Server for MySQL). We are actively looking for talks around MongoDB, as well as other open source databases (so this is where you can add PostgreSQL, time series databases, graph databases, etc.). That also involves complementary technologies, such as the increasing importance of the cloud and container solutions such as Kubernetes. Talk about your journey to open source. Describe the technical and business values of moving to or using open source databases. How did you convince your company to make the move? Was there tangible ROI? Share your case studies, best practices and technical knowledge with an engaged audience of open source peers. We are looking for breakout sessions (25 or 50 minutes long), tutorials (3 hours or 6 hours long), and lightning talks and birds of a feather sessions. Submit as many topics as you think you can deliver well. The conference itself features one day of tutorials and two days of talks. There will also be exciting keynote talks. Don’t forget that registration is now open, and our Super Saver tickets are the best price you can get (Super Saver tickets are on sale until January 7, 2018). If your company is interested in sponsoring the conference, please take a look at the sponsorship prospectus. All in, submit away and remember the Percona Live 2018 call for papers deadline is January 12, 2018. We look forward to seeing you at the conference from April 23-25 2018 in Santa Clara.